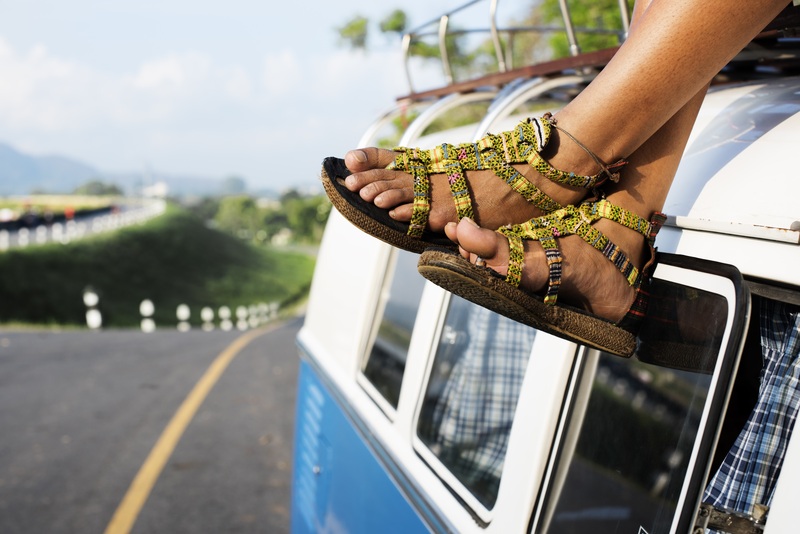 Summer vacation – just hearing those two words can make you want to grab your backpack and plan a road trip with your family and friends. Whether your ideal summer vacation is in a big city, a small cozy coastal town, at the beach, or at a national park, we’ll be taking a look at the best summer vacation destinations that the US has to offer. Whether you’re a history buff, a sports fan looking forward to a game from one of Boston’s historic teams, or someone who loves the aesthetics of fine arts and music, Boston has a lot to offer for all sorts of visitors. For the avid sports fan, the famous Fenway Park is where you can catch a ballgame from the Boston Red Sox. The Freedom Trail is where you can catch up on the city’s history (and arguably the history of the whole nation), and the Faneuil Hall Marketplace and Little Italy are where traveling foodies can sample the local cuisine. Summer temperatures in this college town rarely exceed the lower eighties, making it perfect for a casual stroll to check out some of Boston’s historical landmarks. Not only that, Boston also holds several festivals in the summer. One of the most picturesque places to spend your summer vacation is in the small town of Steamboat Springs, Colorado. Outdoor enthusiasts will enjoy hiking the Medicine Bow-Routt National Forests or riding a bike down the Yampa River Core Trail. Steamboat Springs also holds several popular festivals during the summer, including the Art in the Park Festival and the Hot Air Balloon Rodeo. And of course, a trip to Steamboat Springs wouldn’t be complete without taking a dip in the famous hot springs that the town was named after. 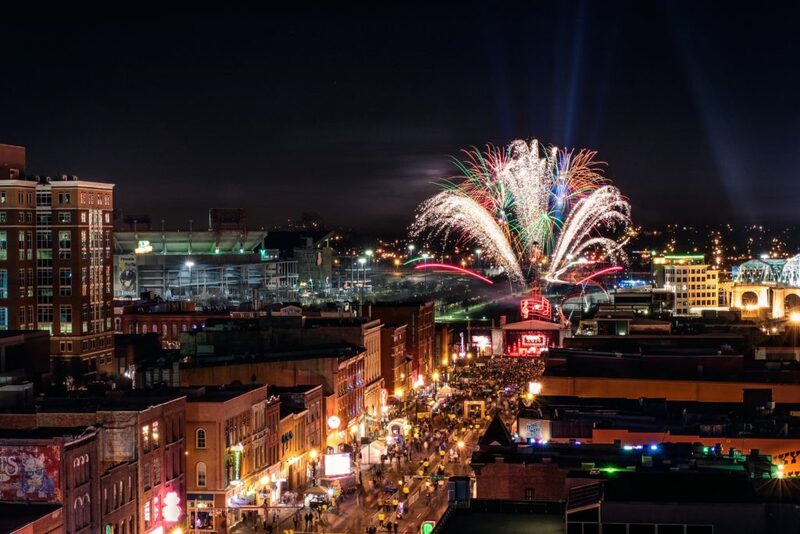 The musical heritage, the hipster bars and bistros, the Southern hospitality, and the radiant down-to-earth vibe of Nashville are what draw visitors here for summer vacations. For culture lovers, the Parthenon, the Country Music Hall of Fame and Museum, and the Ryman Auditorium are all great places to visit. The best way to spend an evening in Nashville is to go bar hopping on Broadway and watch the live performances one after another. 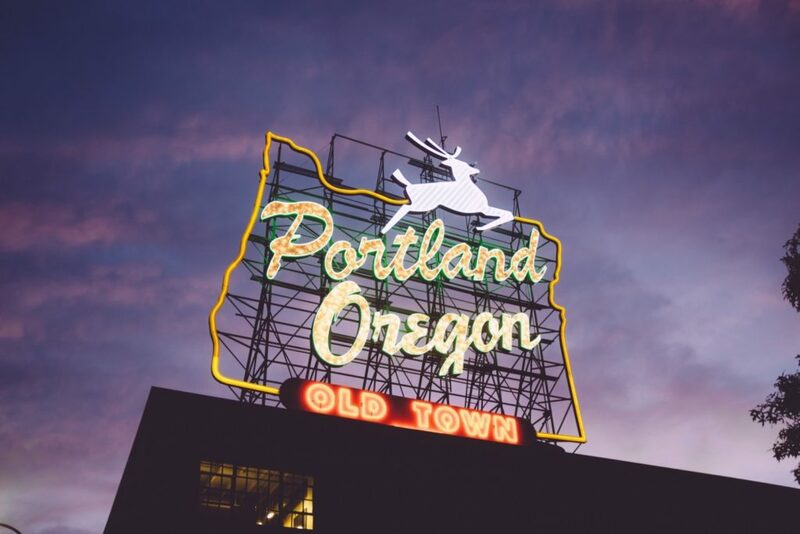 For travelers looking for a wide range of choices for mixed outdoor and cultural activities, Portland is the summer destination for you. This eccentric city appeals to an array of tourists. Families can stroll through or enjoy a picnic in one of the city’s several public parks. Bibliophiles are sure to enjoy the famous Powell’s City of Books, the largest bookstore in the world (based on shelf space). Travelers should also visit the Portland Saturday Market, where you can sample Northwestern cuisine and buy local handicrafts. 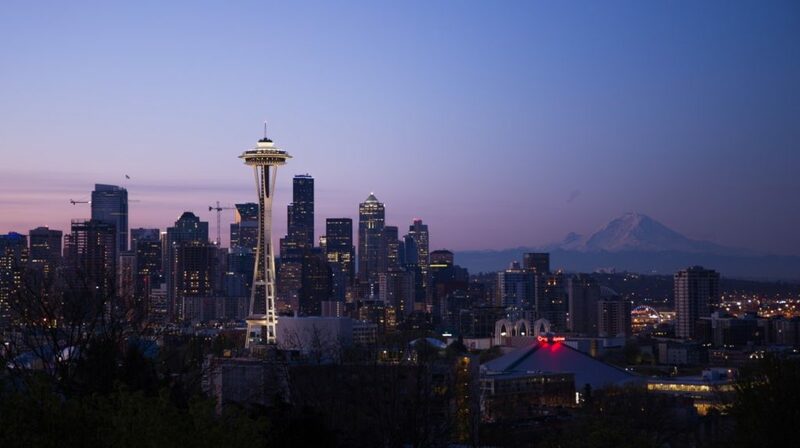 Summer is the best time to visit Seattle, when the constant cloudy weather of the city is replaced by sunnier days perfect for sightseeing and checking out the panoramic views from inside the iconic Space Needle. Art lovers will enjoy the exhibits in the Chihuly Garden and Glass and at the Seattle Art Museum, while foodies can sample culinary delights at the Pike Place Market. The more adventurous traveler can go hiking at the nearby Mount Si, 30 miles from the city center. 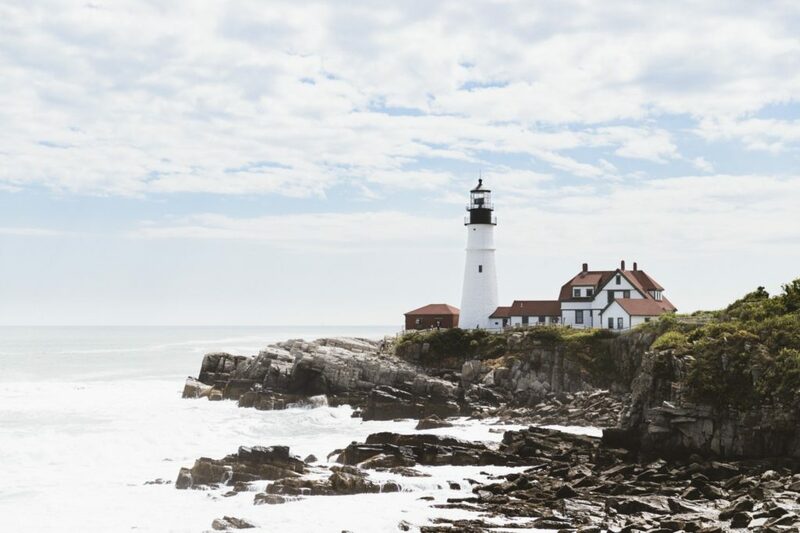 The charming, coastal city of Portland, Maine (not Oregon!) attracts visitors with its laid-back vibe, scenic waterfront, and mild summer temperatures (upper-50s to mid-70s). The cobblestone streets of the Old Port neighborhood are perfect for leisurely strolls. When you get hungry, the dining spots in the city offer world-class seafood dishes. A tour of the city’s brewery should also be on your to-do list. 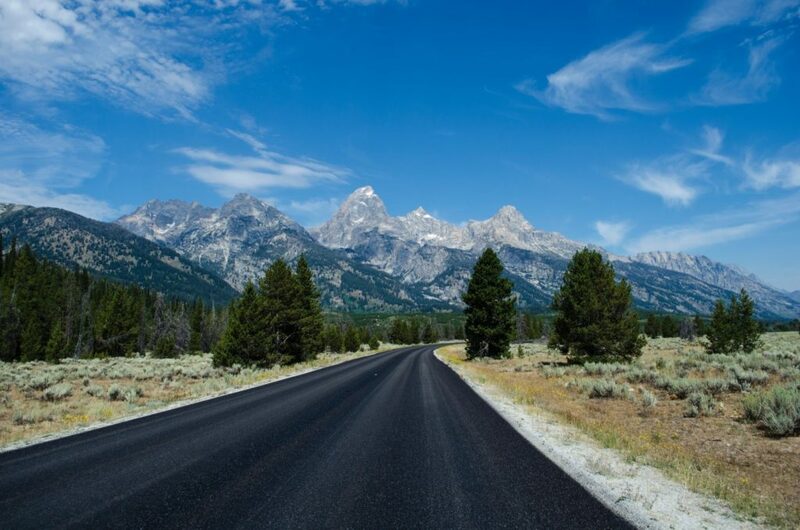 The captivating landscape, wildlife-watching opportunities, and hiking trails for both novice and expert climbers attract visitors to Grand Teton National Park in Wyoming. Historical settlements like the Menors Ferry and Mormon’s Row will certainly take you back in time. But before you go hiking and head out into the wild, make sure to stop at one of the local visitor centers to ensure that you get the most out of an adventure to this scenic park. New England’s 40-mile stretch of pristine beaches is enough to entice anyone to spend their summer vacation here. 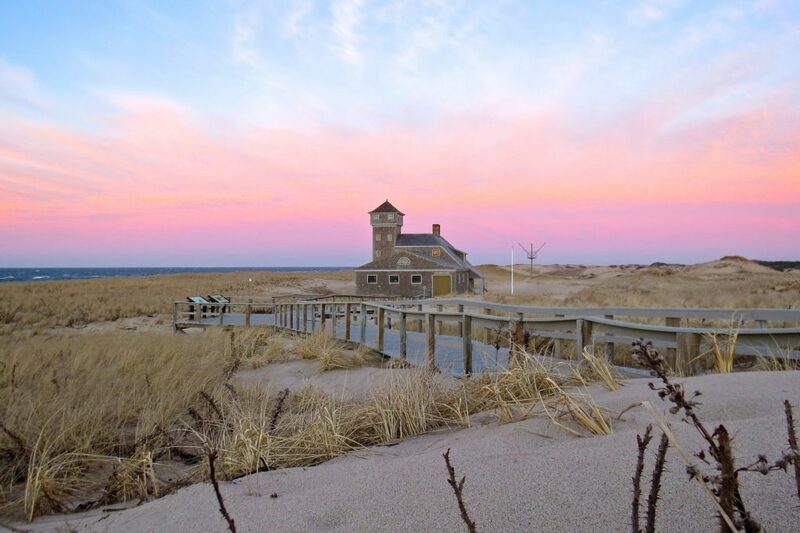 But there’s a lot more to Cape Cod than just that. This family-friendly summer destination has cheap and delicious seafood shacks, regal resorts, and cozy cottages. Miles-long bike trails and wildlife hotspots are available for more adventurous visitors. Watching a play at the Cape Playhouse summer theater is also a must-do. Traveling can be an enriching experience, a privilege that not many people are ready to dedicate their lives to. But while adventures and stories can be priceless, there will always be financial needs before you can pursue them. The good news is that giving in to your wanderlust and financial independence doesn’t have to be mutually exclusive. In a previous 1waytowanderlust article, we talked about odd jobs that you can do while traveling to earn extra cash. Today, we will continue on that note and focus on trading stocks as a financial option for travelers. Investopedia defines day trading as buying and selling a financial instrument, in this case stocks, within the same day, taking advantage of changes in price. Unlike in other activities such as freelancing, it does not require you to finish a particular task. While smart and deliberate trading requires a complex set of tasks, trading at its core is all about making good decisions at the right time. The best traders can pull off trades that are so good that they fund their travels without breaking a sweat. If that sounds too good to be true, then you have to understand that this level of success isn’t achievable overnight. While most think of the stock market as a magic portal to instant wealth, the reality is that day trading is as hard as any other job. The learning curve is steep, the stakes are often high, and progress can be slow. Take, for instance, the story of Marcello Arrambide who goes by the name of Wandering Trader. He has been going around the world and trading for 10 years. He shared that he has been able to trade stocks with an internet connection that is as slow as 1 mb (download) and 0.50 mb (upload) in countries where the connection is unreliable. But still, he was able to make good trading decisions that helped fund his lifestyle. His secret? Hard work and dedication. What to Expect as a Day Trader? Grinding for even the smallest yields is part and parcel of any day trader’s life. When day trading, especially for a beginner, the dividends can range from minuscule to uncommonly huge. The former is often the norm. That is the nature of the game, particularly when there isn’t much going on in the market. Nonetheless, trading can function like passive income. While you can grind it out and spend every trading hour to make a profit, the truth is that some of the best trades you will have might come when you least expect it. You’ll never know with absolute certainty when a company’s stock price will blow up. You need to make calculated guesses and be patient to make your money grow. The good thing is that, as a trader, you control your time. You can do other things while trading. You can travel, learn a craft, meet new people, and basically enrich your life in other ways. While the most committed day traders will devote many hours of their day to just trading, those who wish to do other things have all the freedom to do as they please. How to Get Started with Day Trades? The first step you need take do is to create a trading account. NerdWallet listed some of the best online trading sites for beginners, including Ameritrade and Vanguard. Once you’re set, you’ll have to look at various industries and companies that you want to dabble in. It’s best to look at industries that are close to your interests, as you are more likely to get a feel of the ‘pulse’ of the industry and make the right moves. Real estate is among the highest in terms of liquidity and yields. Welltower Inc., which is currently selling for £58.03 ($75.99) per share is among the top performers. Gaming is another good industry to watch, as the sector continues to grow. Game development behemoth Electronic Arts is listed on NASDAQ and continue to command decent yields, albeit at a high stock price, which currently sits at £69.66 ($91.74) per share. Staying in gaming, particularly mobile-focused companies, one of the strongest current performers is Gaming Realms. In June last year, the UK-based firm signed a two-year licensing deal with GVC Holdings, a FTSE 250 company. As indicated on the website of its flagship platform, Slingo, Gaming Realms is listed on the London Stock Exchange as GMR and has a price per share of £4.40 ($5.76) at the time of writing. Finally, there are oil and gas stocks, which are always highly active. Energy giant ExxonMobil currently ticks at £54.7 ($71.61) per share. There are lots of other categories that you can explore, but you can also diversify your portfolio within your chosen field of interest. The key is to look at companies and industries that you are most confident in. It’s all about learning how the market works and getting a feel of how it moves. You can think of day trading from a traveler’s perspective. You cannot explore every path that you come across in one vacation. You can survey the location (market) and pick the ones that you think will give the best adventures (trade opportunities). But at the end of the day, you’ll never run out of places to discover. If you can incorporate day trading into your daily schedule, you can make it an enjoyable part of your travel routine. One of the main things a backpacker should prioritize while traveling is budgeting. When traveling on a budget, all of your expenses should be planned out ahead of time in order to avoid inconveniences while traveling. Any money you save means extra money for more days on the road! But wouldn’t it be better if you could earn a few extra bucks while traveling? Today, we have compiled different ways to/ideas for how you could earn extra money (or free lodging/food) while on your adventures. 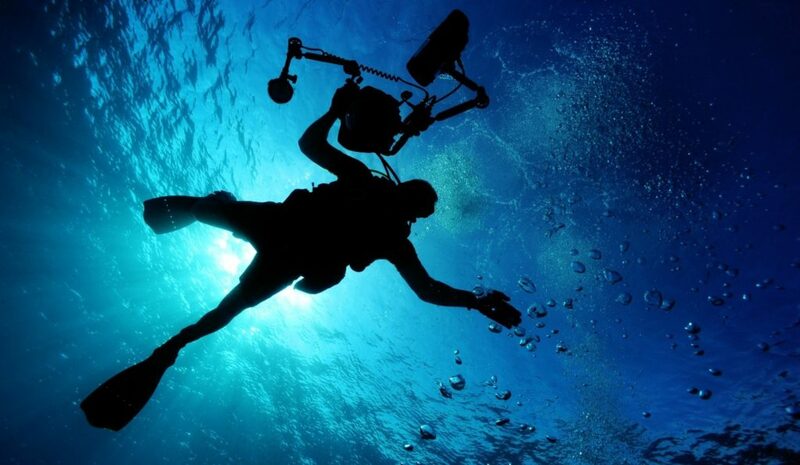 Try to imagine it: diving in the pristine blue waters of scuba diving hotspots around the globe and mingling with fellow travelers, all while getting paid in the process. If you’re physically fit and possess the skills and patience to instruct others, consider getting a scuba diving certification. The opportunities for adventure (and, of course, the decent amount of money you’ll be getting paid) make this job a unique and wonderful experience. If you have a talent for entertaining people (e.g. playing instruments, singing, juggling, and other amusing talents) and have the confidence to perform in public, busking can be a fun opportunity to earn some extra money while on the road. Just make sure that street performing is legal in the city you are in first! Travelers who are hairdressers by profession can use their skill while traveling to earn extra money. Look for a popular hostel, ask the owner if you can put up a sign outside their establishment, and charge a reasonable fee to your customers. Even if you charge just $5, you only need to cut 20 people’s hair to earn a sweet $100! Just follow the steps above but instead of cutting hair, give relaxing massages to fellow travelers. Backpackers who have walked the whole day would certainly appreciate your services and pay you a good amount of money for some relief. This one is quite easy (assuming you have the skills). Just look for a crowded bar, ideally near hostels or a beach, and ask the manager or owner if you could work for a short stint. They’ll most likely hire you if you are a native English speaker and an outgoing person. 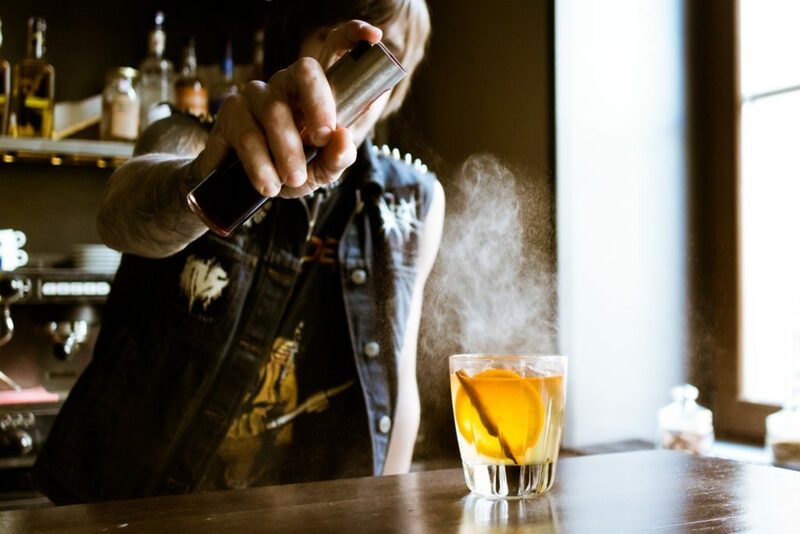 And of course, if you have prior bartending experience, you’ll greatly increase your chances of landing a gig. Accommodation establishments in tourist hotspots are in desperate need for part-time staff, especially during peak seasons. The jobs they offer range from cleaning to maintenance (structural or electrical), receptionist/front desk, or kitchen staff. This job is perfect for travelers who have experience in customer service and/or have gone through hospitality training. They may pay you with cash or offer free accommodation and food for your services. Either way, it’s a win-win situation. If you know your way around a turntable, looking for a DJ gig while traveling shouldn’t be hard. Top party destinations like Ibiza and Barcelona often have clubs that are looking for a new part-time DJ. Introduce yourself to the club owner and offer a demo of one of your best mixes. Of course, having past experience doing DJ gigs will give you a better chance of getting in. You’ll get paid, mingle with cool people, and receive free drinks. Cheers! 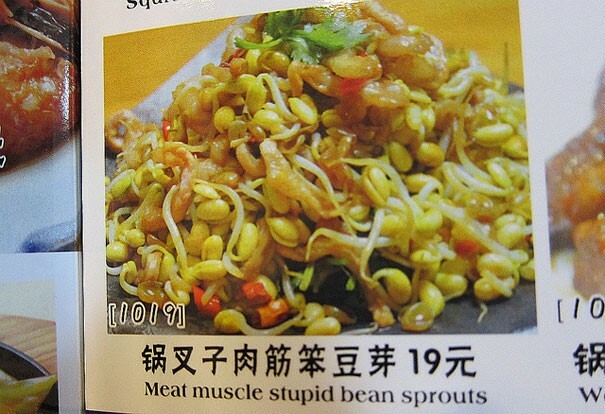 Many establishments in non-English-speaking countries that try to attract Western tourists inevitably make mistakes in translating signs and menus into English. Establishment owners will likely gladly accept help with fixing these spelling and grammatical mistakes. They’ll either pay you or give you a free meal for your help. Like the scuba diving instructor job, being a surf instructor offers a fun and exciting time on the water. You won’t get paid as much compared to being a dive instructor, though. This is a popular job for backpackers, especially in countries with many organic farms like Australia. The payment varies from farm to farm. You’ll be paid in cash (definitely if you’re on a visa), food, and/or accommodation. If you’re attractive (or at least think you are) and good at advertising and interacting with strangers/other travelers, being a PR for an establishment will fit you. Most establishments like restaurants and hostels are looking for outgoing travelers who are willing to advertise their services to fellow tourists. It’s another plus if you’re a native English speaker. If you have a talent for creating beautiful and unique fashion accessories like earrings, beaded necklaces, bracelets and such, selling these to others can give you that extra money you need. You also need to be resourceful. If you’re on a beach, seashells and turquoise pebbles can make for a beautiful bracelet. Just make sure that you’re selling your wares (and collecting what you need) in an area where it isn’t prohibited. 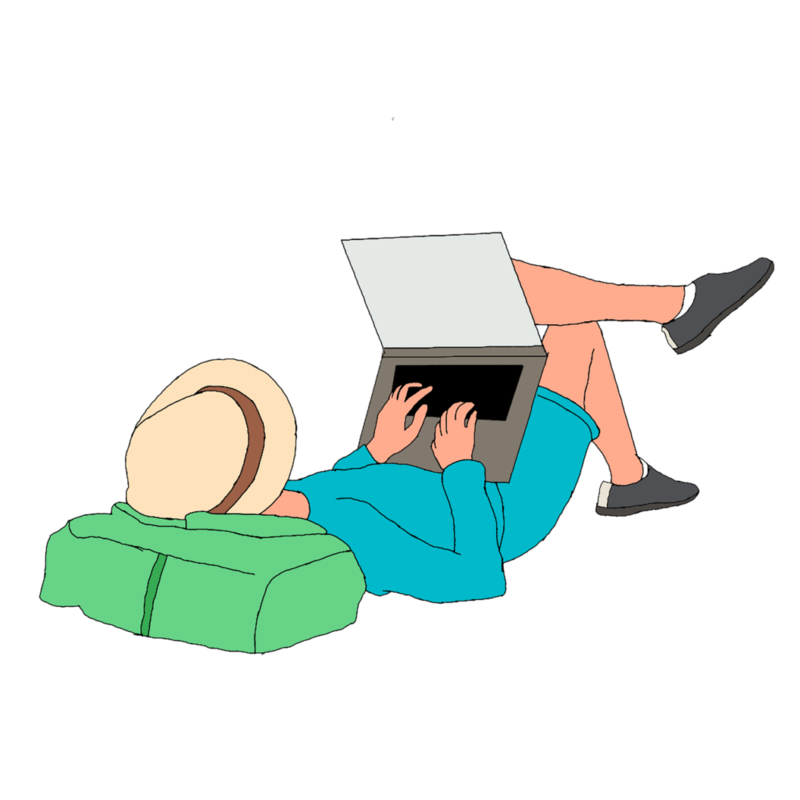 If you always carry your laptop with you while traveling, doing freelance work online can be an ideal way to earn a few extra bucks during your free time. All you need is a stable Internet connection and decent laptop and you’re good to go! Online freelance work can include writing, programming, designing, marketing, consulting, and many other positions that can be done remotely. Check out Upwork for freelance job opportunities. Photography has always been an important part of traveling. Travelers often take photos to capture each exciting and beautiful moment on their adventures. But what if you can turn these photos into cash? If you are skilled with a camera, selling stock photos online can be an easy way to earn some money. Websites like SmugMug allow photographers to set up an online shop to sell their photos to different travel magazines/websites and stock photography companies. This last one is a bit risky, and the odds of actually earning money are quite – well, a gamble. Still, there are travelers who are online poker players by profession (and yes, by profession we mean that they’re actually making a living out of it). All you need is a laptop, an Internet connection, and a lot of luck. These jobs don’t just fill your pockets; they also allow for a richer experience and a whole new perspective while traveling. It’s a great way to extend your time on the road, but do always make sure that whatever you’re doing is legal in the country you’re in. The crisp ocean breeze, the high rolling seas, and sailing through the Caribbean like the adventurers of old are just a few reasons why seeing the world by boat is a dream for many travelers. 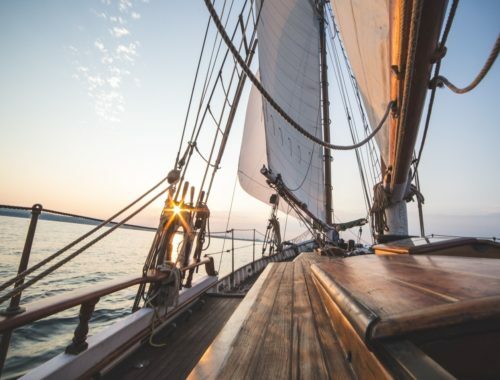 Contrary to what many people might think, you don’t need to be a seasoned sailor to cross the high seas or be a millionaire with their own yacht to travel from port to port. 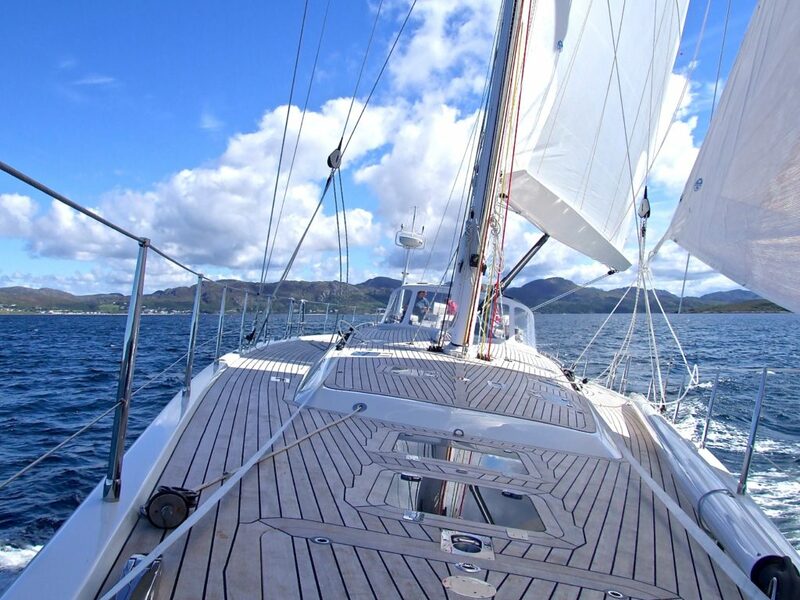 All you need to do is to apply to be a yachtie for other people’s luxury yachts or volunteer to be a crew member for a small private charter boat or sailboat. You can travel to the most beautiful port destinations for free, and in most cases even pad your pockets while doing so. First of all, you need to understand that owners consider their boats or yachts as homes, so hitching a ride on a boat without being a bona fide crew member could be likened to nautical couchsurfing. With that in mind, it’s important to stick to your word by doing the agreed-upon labor and always pitching in with whatever assistance you can provide for the vessel. If you’re unsure what to expect or how best to approach a boat and crew, here is an article written from a boat owner’s perspective about the things you should and shouldn’t do. Like with any other job, having experience will boost your chances. To answer the above question, it depends on what the boat owner is looking for. Most captains require experience from their would-be crew, especially for long trans-oceanic voyages. There are also some captains that wouldn’t mind accommodating a candidate with little/no experience in sailing if they have the right attitude. Experienced or not, you are expected to help with daily chores, such as cooking, cleaning, trimming the sails, and other basic tasks. 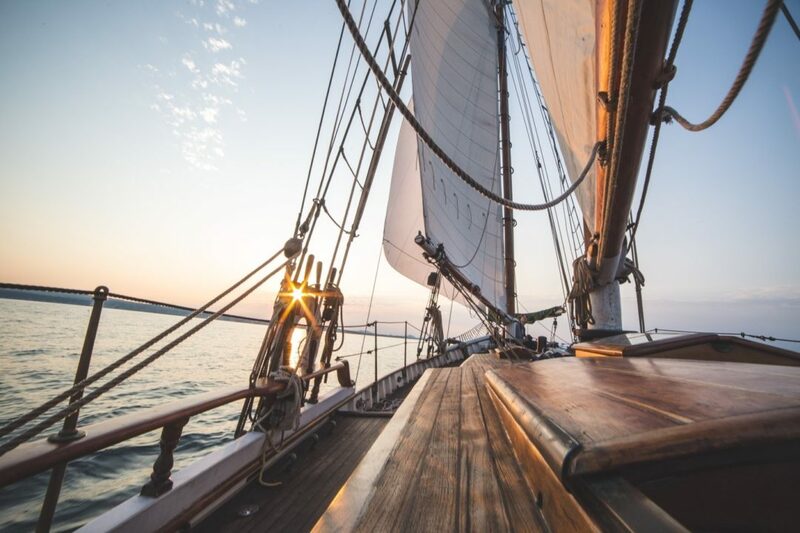 While it is possible to find a boat owner who does not require sailing experience, taking sailing lessons beforehand will benefit both you and the captain. 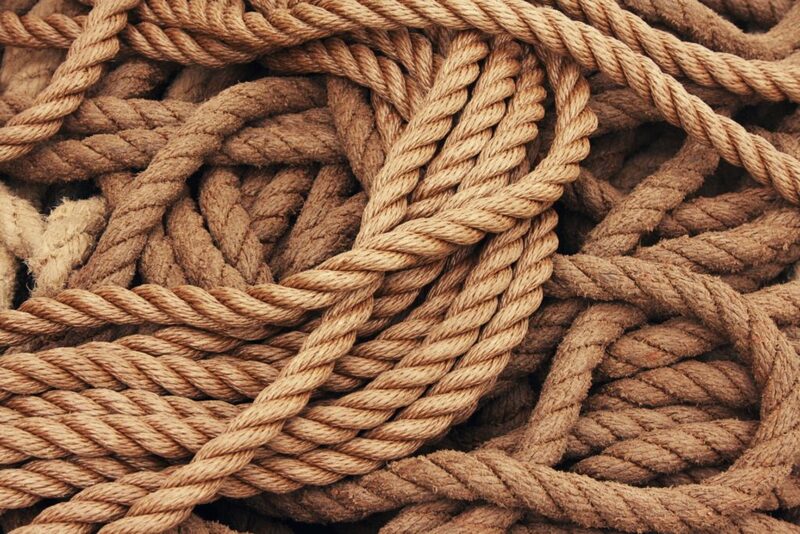 Knowing the ropes in sailing will make any skipper happy to take you in as a crewmember. Sailing lessons can often be found in harbors and ports. You can also contact the sailing club of a nearby university to ask for assistance in finding sailing lessons and opportunities. The American Sailing Association’s website is full of useful information regarding lessons and certifications. One way is to join a local yacht club. Contrary to what you may have thought, you don’t need to be a boat owner to join. Yacht clubs will require a fee that is often reasonable and worth it. 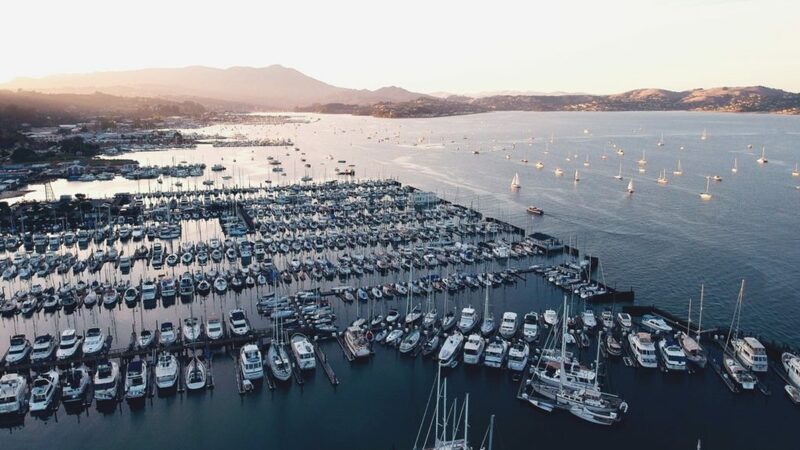 Joining a yacht club provides you with a direct way to network with boat owners and offer your services to them in exchange for accommodations and free passage. This also gives you opportunities to build your reputation in the sailing community by helping around in the boats and befriending the owners and other crewmembers. Another way to contact boat owners is through dedicated sailing websites like Find a Crew. It works like most freelancing websites. You set up a profile with your basic information, skills, and sailing experience. You can either look for a boat or, if you’re lucky, be directly contacted by an owner looking for crewmembers. For those who are looking for more than free accommodations and passage, there are sailing opportunities out there where you can get paid! To make ends meet, some skippers open their floating homes to charter guests looking for a cruise vacation. Sometimes these guests pay for an all-inclusive sailing holiday, meaning that they don’t have to do any work on the boat and can just lounge around. In situations like these, the captain may need to hire a paid crew to do the chores and give a hand on deck. Depending on what the captain may need, a hired crewmember’s responsibility may vary from cleaning the boat to taking care of the guests, cooking the meals, shopping for supplies, or all of the above! Make sure that you can handle whatever kind of work you and the captain agree on before boarding the boat. The last thing you want is to be in over your head in the middle of the ocean! Finding work on luxury motor yachts can be a bit more complicated than finding work on a private charter boat, regardless of the position. This is because you’ll need to do some training on land to get certifications that may hurt your wallet. The first thing you’ll need is a STCW (Standards of Training, Certification and Watchkeeping) certificate. This certification is required by yacht insurers (even for entry-level positions) in order to qualify. STCW training courses are offered by companies like Bluewater and Maritime Professional Training. At around $900, the training isn’t cheap, but you can rest assured that you’ll get your money’s worth and earn it back in no time when you get the job. After getting your STCW certificate, the next thing you need to do is undergo an ENG1 medical examination. This medical exam certifies that you are physically fit to work at sea and that you won’t be a liability. Ask a local hospital or medical center if they can give you an ENG1 exam. 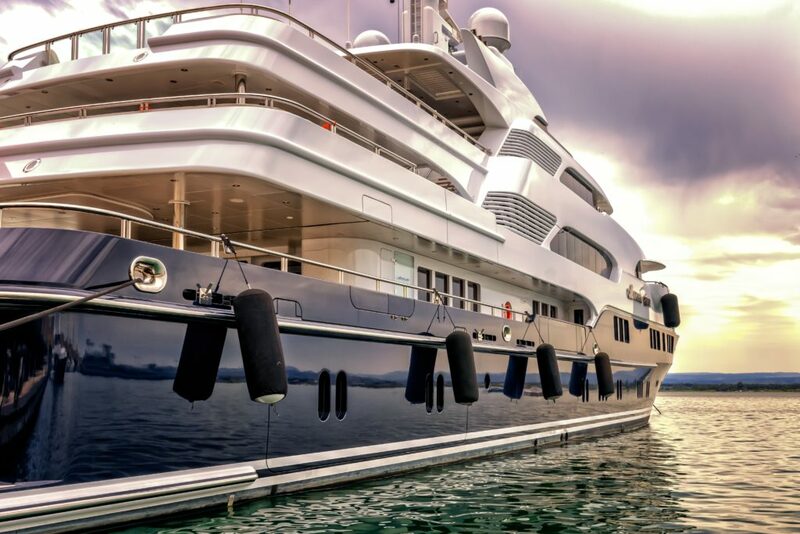 Yacht insurers and owners are strict with these kinds of things, and for good reason. Whether you’re hitching a free ride across the open seas or working for a charter boat/yacht, your safety and security should be the utmost priority. Thus, it’s crucial to scope out the boat and the people on it before you ever commit to anything. When you’re out in the middle of nowhere, you’ll be confined to a small vessel for weeks or months and at the mercy of the captain and the other crewmembers. Make sure you get along with everybody, as you’ll be around them 24/7! Don’t forget that the boat owner is also taking a leap of faith by letting you, a complete stranger, into their home. That’s why it’s important for both parties to get to know each other beforehand and to be straightforward about what to expect while you’re onboard. Now get out there and find yourself a friendly crew who’s willing to show you the ropes… your adventure on the high seas awaits! One of the greatest fears that travelers have is overspending. That’s why it would be wise to plan out your vacation/adventure ahead of time. 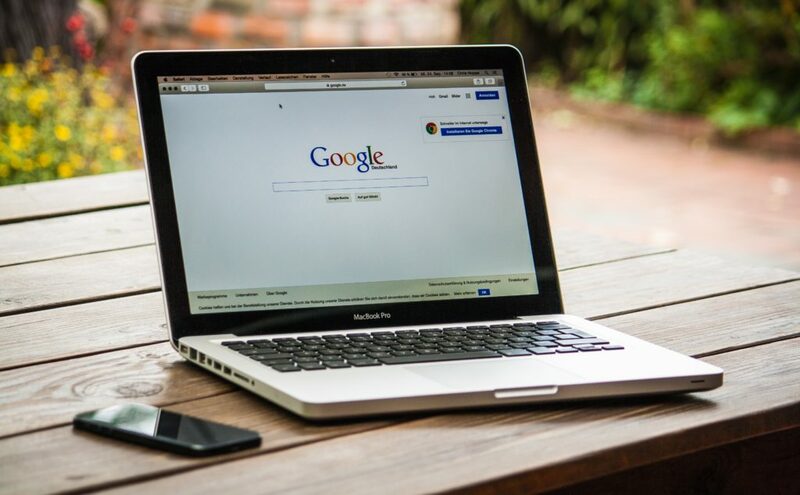 Checking out cheap accommodations online and using different “travel hacks” are a couple of the many ways to make your travels more affordable and budget-friendly. And, of course, your budget also depends heavily on where you’re planning to go. Currency exchange rates and the cost of living are important factors that determine whether a particular country is a budget-friendly travel destination. Today, we’re showcasing the most affordable countries to visit that are sure to satisfy your wanderlust without breaking the bank. Some of the most stunning natural landscapes in South America can be found in Venezuela. Unfortunately, this beautiful country is struggling with hyperinflation, resulting in a drop in the locals’ living standards. With this ongoing crisis, personal safety is an issue, especially in the country’s capital, Caracas. Despite all that, traveling to Venezuela is still possible – and extraordinarily cheap. 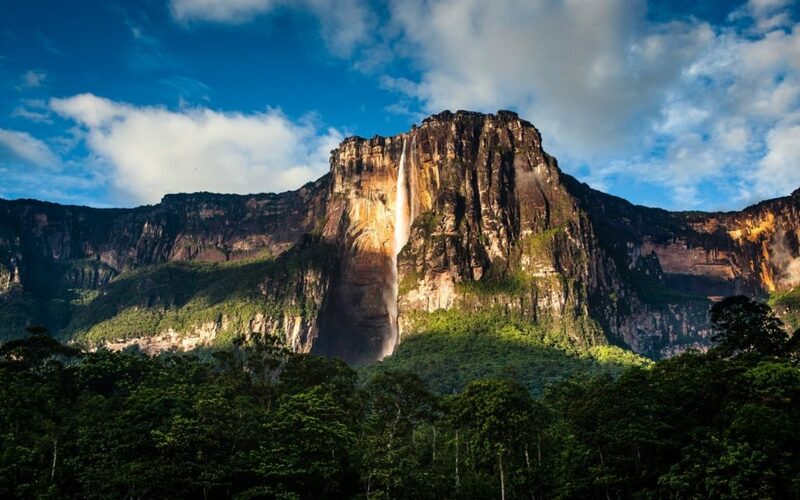 Travelers who dare to venture here will be rewarded by Venezuela’s breathtaking serene islands, the Andean peaks, the Caribbean coastline, and the highest waterfalls in the world, Angel Falls. 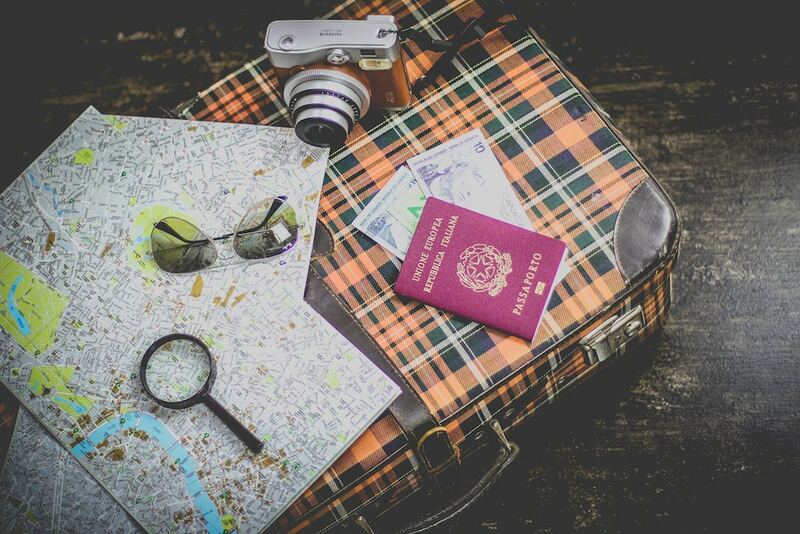 Plan ahead and make sure to square away your transportation, where you’ll stay, things you plan to see/do, and how you’ll exchange currency beforehand in order to avoid compromising your safety. Vietnam is a great travel destination for people with a tight budget. 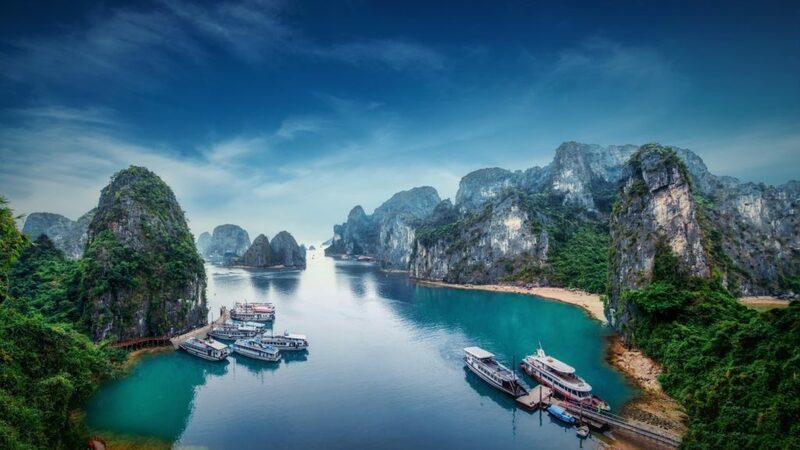 The country is filled with stunning natural wonders like underground rivers, complex cave systems, and Asia’s oldest karst mountains, all of which can be found in Phong Nha-Ke Bang National Park. The sprawling megacities in Vietnam and the exotic hill-tribes in the northern part of the country have their own rich and diverse cultures. It’s also no secret that Vietnam is a culinary hotspot. For only a few dollars, you can treat yourself to a delicious Vietnamese meal, accompanied with a locally-brewed beer for only a few cents. This next destination is for the serious adrenaline junkie traveler! 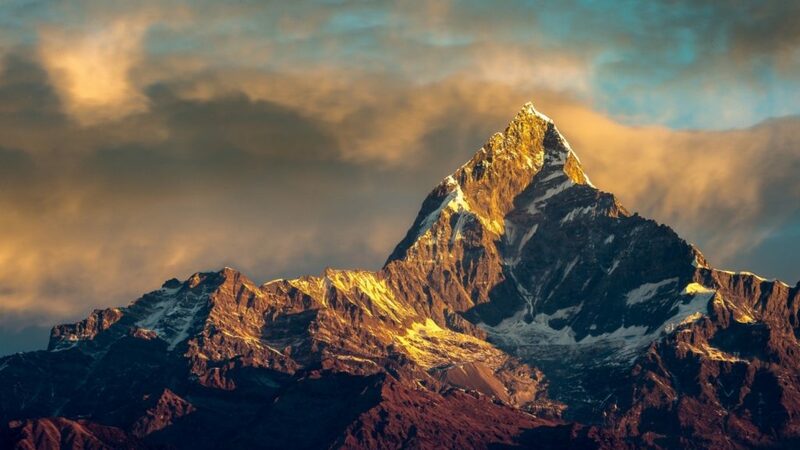 Nepal is considered the place to be for mountain lovers across the globe. Trekking the rugged paths to Everest, Annapurna, and other destinations is cheap (assuming you have your own hiking equipment). All you need to pay for is a guide to help you interact with the locals, find good accommodation, and keep you safe in the harsh terrain. Nepal isn’t all just about mountains, though. For those who are looking for a taste of Nepalese culture, Kathmandu is the go-to place. The country also features subtropical jungles thriving with exotic creatures such as endemic birds, tigers, and crocodiles. Thanks to the current exchange rates, splurging a bit in these places won’t hurt your wallet either. 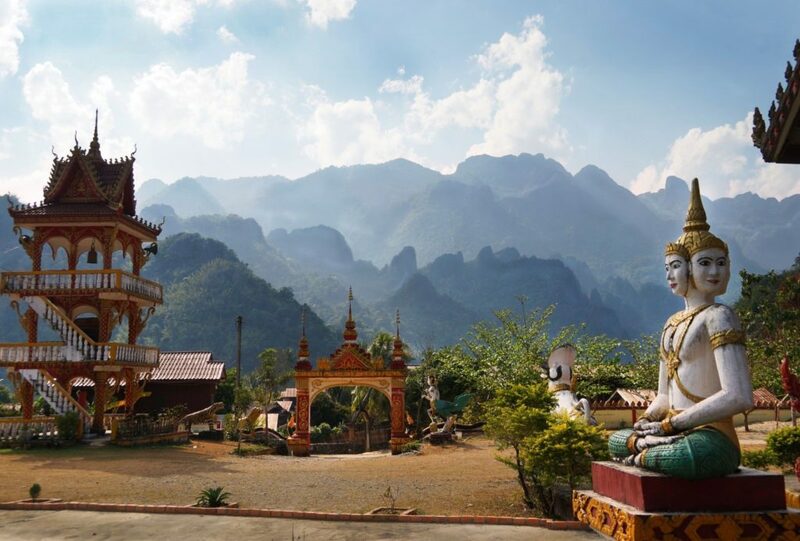 If you could cram all the best things about Southeast Asia into a tiny compact destination, that would be Laos. This land-locked country retains most of its ancient cultures and traditions despite the rapid development of its surrounding neighbors. This gives visitors a much more authentic and cheap Asian experience that can only be found in Laos. The ancient temple that dot the country can give travelers a glimpse of Lao’s spiritual traditions. Laos also offers a sense of adventure with underground caves and rivers, zip lines, and exotic jungles for thrill-seekers and nature enthusiasts alike. Another Southeast Asian nation, “The Land of Smiles” has always been a favorite affordable destination for backpackers from different corners of the globe. And why wouldn’t it be? 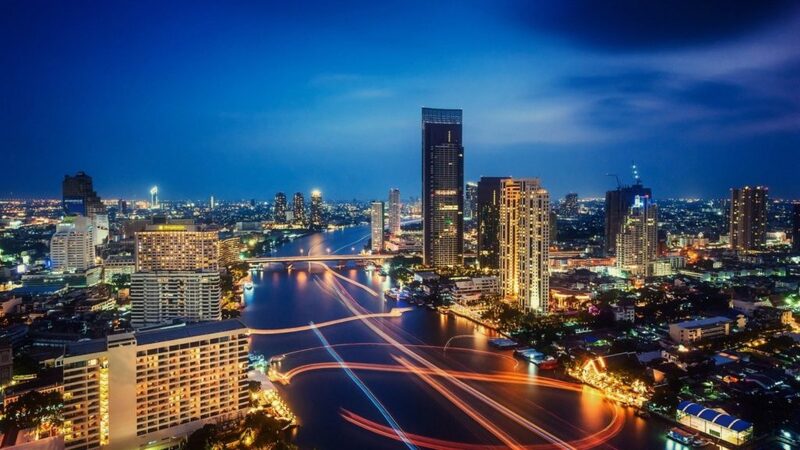 The city of Bangkok never runs short of cheap thrills, food, and accommodations. For under $2, you can buy a plate of popular Thai dishes. After having a fill of the Thai city life, head north to the region of Chiang Mai – an absolute heaven for backpackers and digital nomads. You can find different kinds of accommodations in northern Thailand with prices ranging from $5 to $30 per night. You can stay in a treehouse in the Thong Pha Phum National Park (complete with electricity and plumbing) or camp beside an alpine lake in the village of Pang Ung. 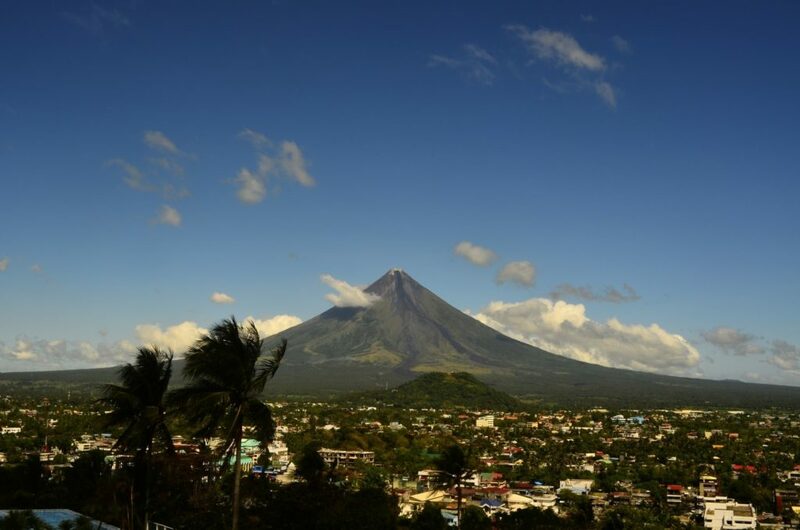 The Philippines is one of the top tourist destinations for people who are looking for a tropical getaway on a budget. Filipino dishes only cost around $2, but if you’re really thrifty you can score a meal for around just a dollar in roadside eateries called “carinderias”. The cheapest way to get around the cities is by riding the colorful jeepneys, the main mode of transportation in the country. Accommodation in the Philippines ranges from a few bucks to ~$30 per night depending on how fancy you want to get. And since the Philippines is an archipelago of over 7,000 islands, the country offers a lot of water activities for visitors. 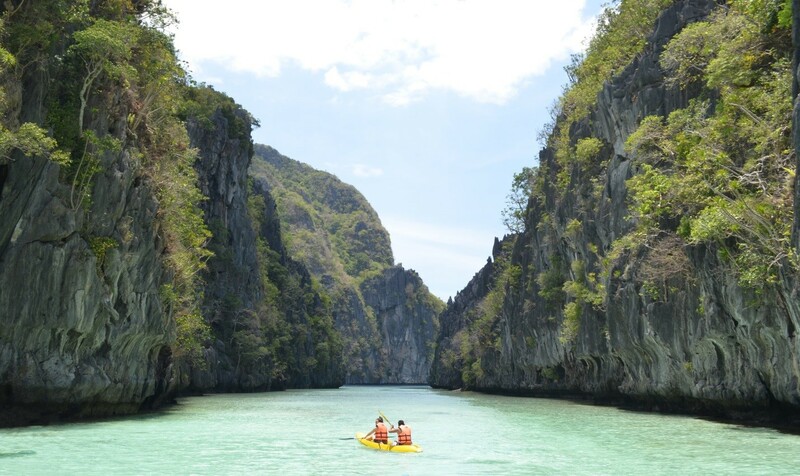 For a few dollars, you can enjoy kiteboarding along the white sand beaches of Boracay or discover the out-of-this-world natural features in Palawan by island hopping on an outrigger boat. As the second South American destination on our list, Ecuador is a small nation that has a variety of things to offer to its visitors. Experiencing the culture in Kichwa villages, exploring the Amazon rainforest, and hiking in the Andes are a few affordable things you can do in Ecuador. 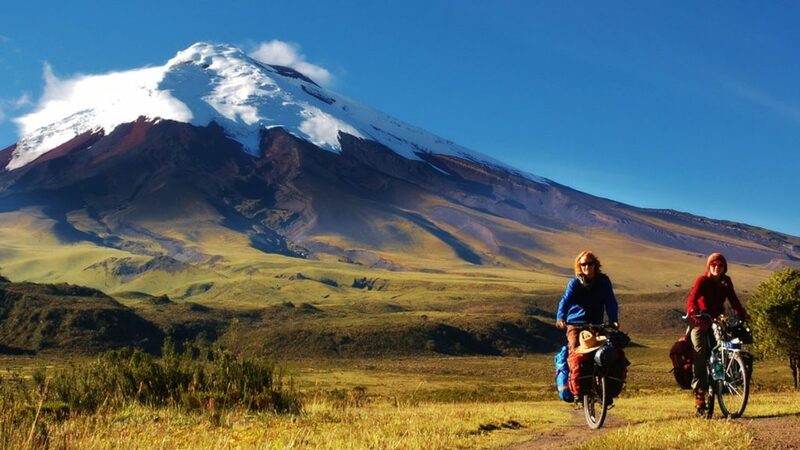 Just like every other destination on this list, the food and accommodation in Ecuador are very cheap. 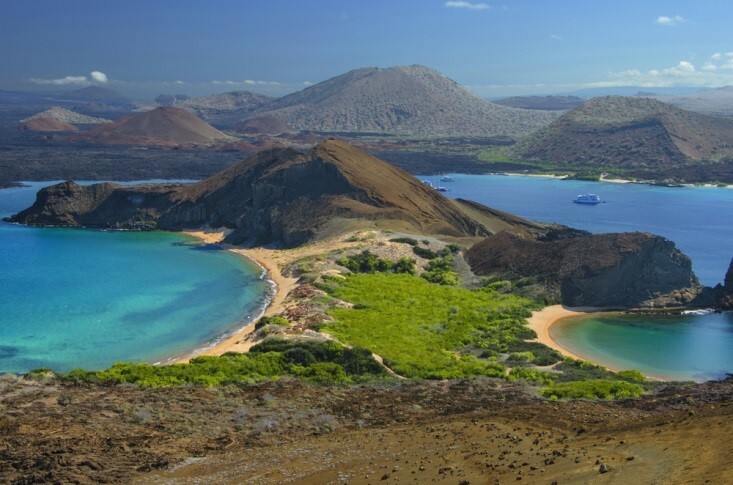 And if you have a lot of money left over from your trip in mainland Ecuador, you could splurge on a visit to the Galapagos Islands (which is unfortunately a bit expensive). India has long been a backpacker’s destination. 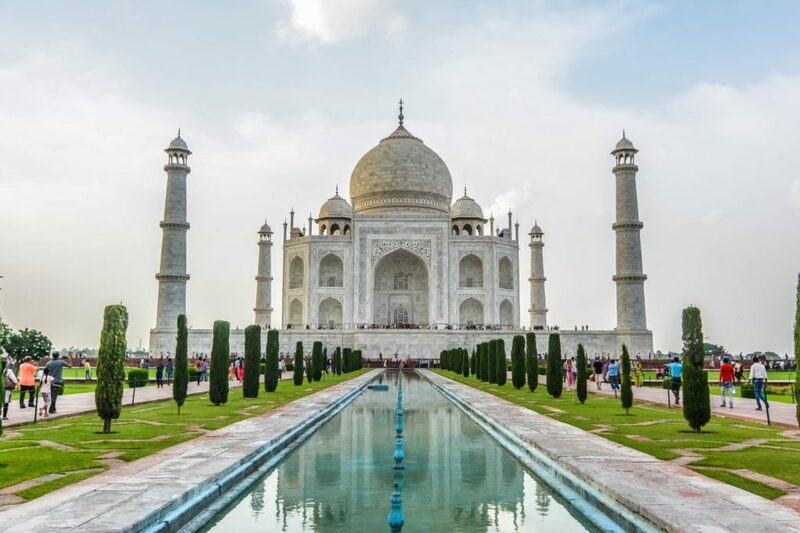 Almost everything in India is cheap – the delicious food, accommodation, and public transportation are what draw shoestring travelers to India. Backpacking in India can be a bit tricky though (and sometimes a bit frustrating) for inexperienced travelers. Make sure to plan ahead, not just with your budget, but also how you will get around India. Once you’ve established your game plan, get out there and experience it – you’ll be bound to come back with a few great stories! 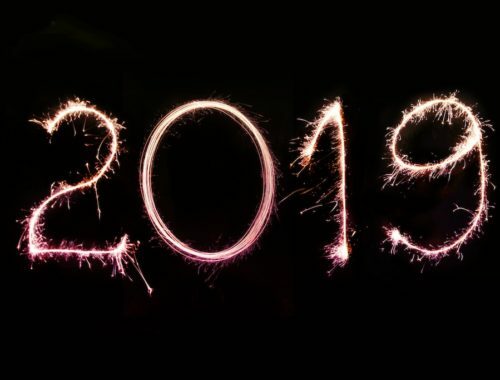 With each affordable country on this list, you can get by easily for under $50 a day (or $1500 a month), but with some smart planning and spending you can likely slash that estimate in half. This includes a stay at a cheap hostel, three meals (plus a bottle of beer each day), public transportation, and a small amount for extras like certain cultural attractions. But there are ways to travel for much less or even for free – the sky’s the limit! Traveling to popular tourist destinations is fun. Imagine walking down the streets of Paris with the Eiffel Tower in the backdrop, or biking along the Great Wall of China. It’s kind of cool, right? Yes, but that might not be enough for some people. Some people might want to travel more off-the-radar. They could be trying to forget about a past life, seeking out a destination untouched by modern civilization, or maybe they’re just thrill seekers trying to explore places that most people wouldn’t dare to go. 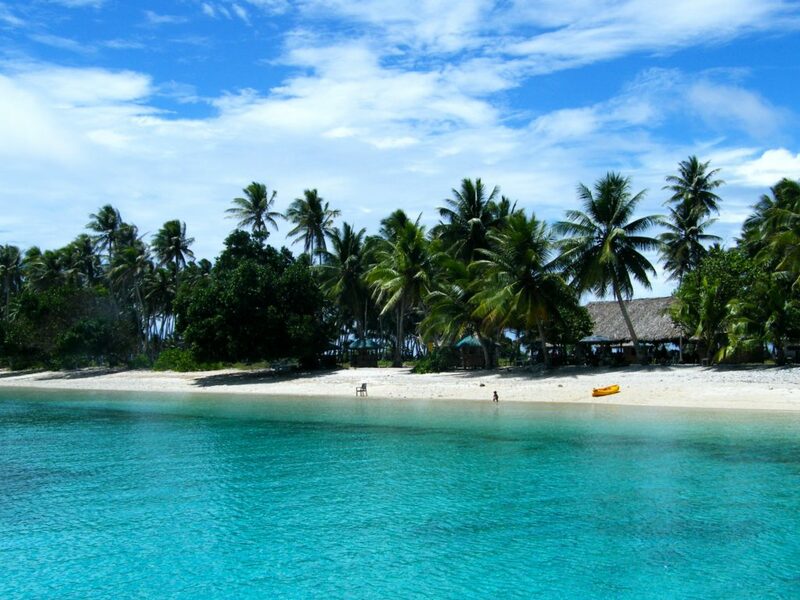 This country neighbors Papua New Guinea, Australia, and New Caledonia, but sadly, the Solomon Islands don’t attract as many tourists as the aforementioned nations. 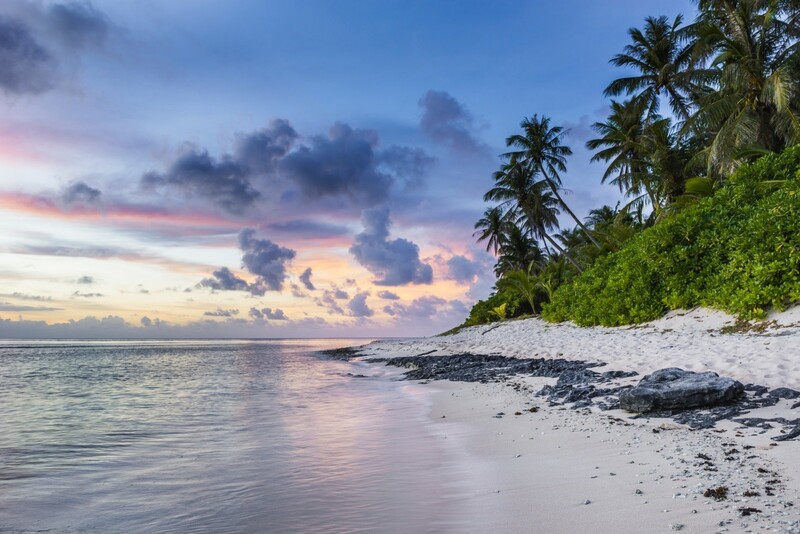 Rainforests, secluded beaches, and lagoons make this country perfect for tourists looking for a thrilling and relaxing trip without having to mix with the crowd. The country’s capital, Honiara, has an outdoor fish market where one can buy fresh and delicious seafood. 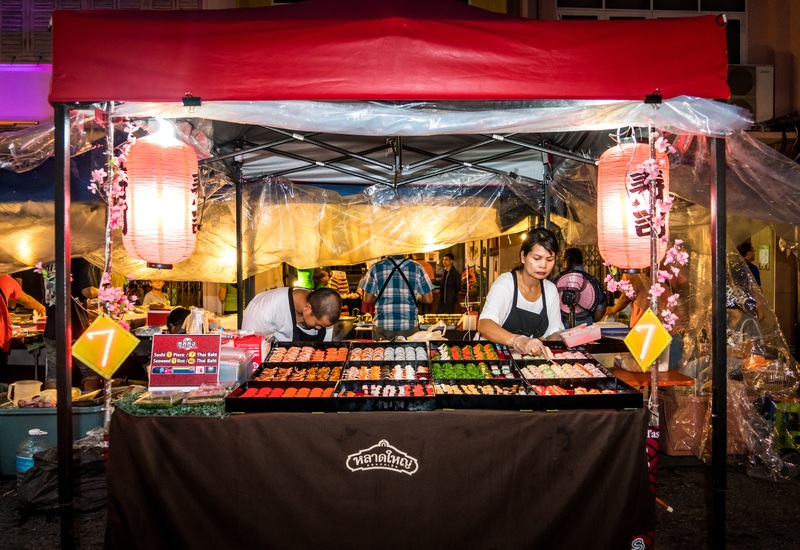 Ask the vendor to cut up the catch of the day and enjoy sashimi or a grilled meal by the beach. 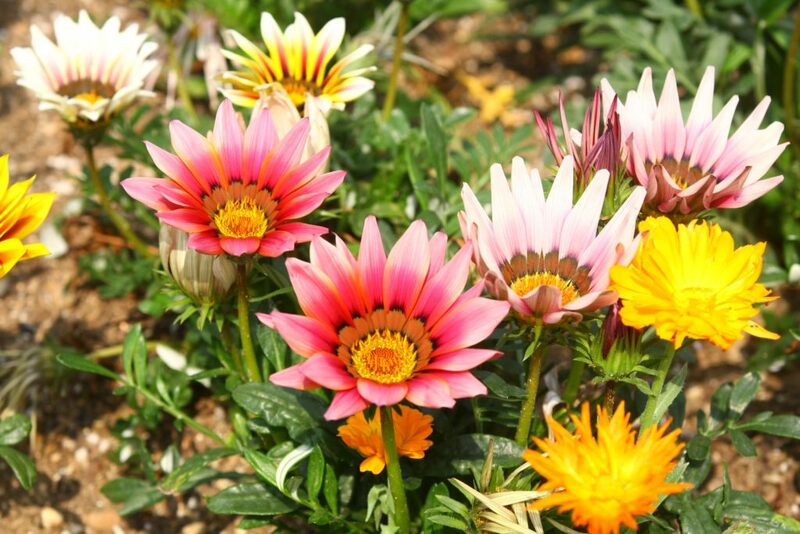 With 230 different types of flowers scattered throughout the country’s 900 islands, the Solomon Islands are perfect for nature lovers. But if you ever decide to travel to this country, make sure to get your vaccinations first – malaria is a serious threat. Stories of civil unrest and Ebola outbreaks make Liberia one of the least-visited countries. But despite all that, Liberia was the first African nation to elect a female president. Ellen Johnson Sirleaf, elected back in 2006, received the Nobel Peace Prize Award five years later. The beaches of Monrovia and the surfing spots of Robertsport make Liberia a must-visit country for thrill seekers. Despite all the negative events that have happened in the country in recent years, the negative vibes are sure to be carried away with the unique Liberian English hip-hop music, which remains very much alive to entertain locals and visitors alike. Fun Fact: the country’s capital, Monrovia, is named after the 5th US president, James Monroe, after he helped establish the African nation. 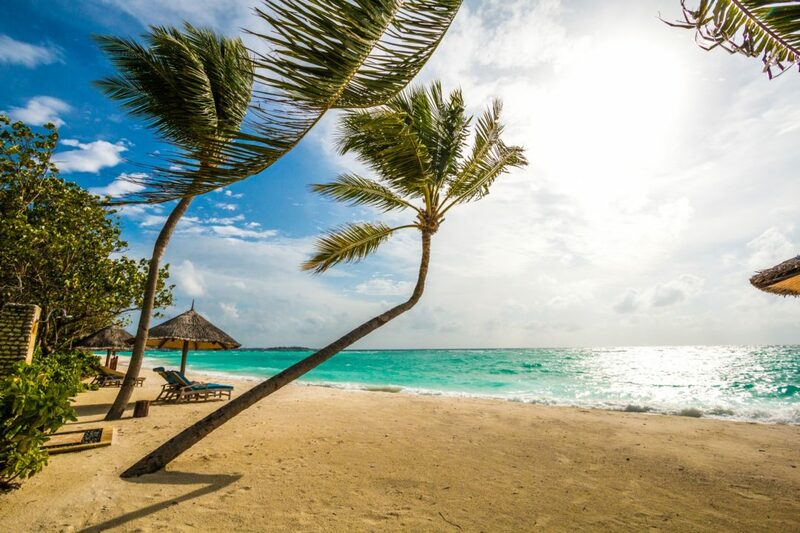 With the slogan “A well-kept secret!”, seclusion is sure to be found here. The colonial Portuguese architecture, the beautiful beaches, and the colorful houses that line the outskirts of São Tomé can captivate the eyes of visitors. 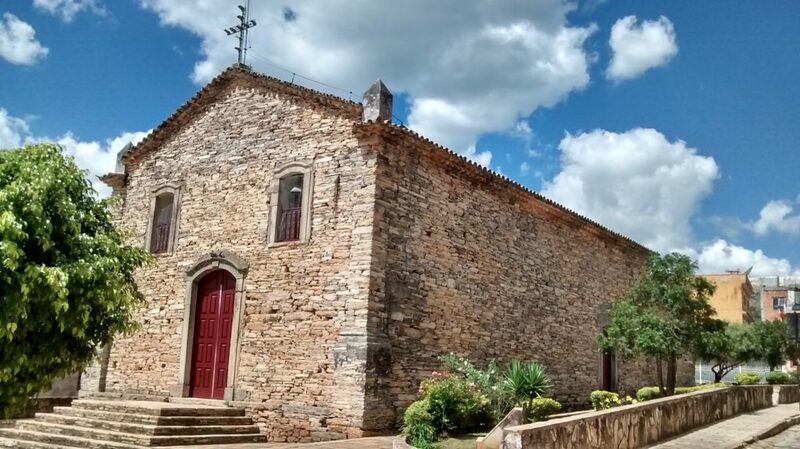 And the warm hospitality that locals show to visitors can steal their hearts. Fishing, trekking, and whale-watching are the popular activities around here. One should also try out the local chocolates that the country offers. São Tomé claims to have the best dark chocolate in the world. It wouldn’t really be a surprise, since the country used to be the biggest producer of cocoa in the world. This small island nation only has a population of 800,000 people. Since 1975, the country has experienced 20 coups (and coups attempts) until finally gaining independence from France. Sailing, diving, and volcano trekking are one of the many activities that invite thrill seekers looking for a secluded adventure. After those exhilarating activities, one should head over to Moroni. 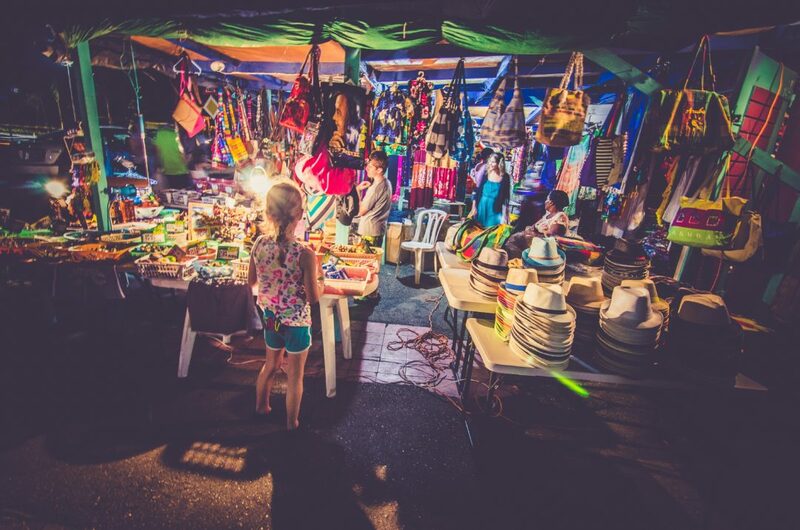 The colorful markets are the perfect place to buy souvenirs to take back home and have friends and relatives scratch their heads thinking about what/where on Earth Comoros is. And if they ask about Comoros, tell them that they should be thankful for this nation. Comoros is the largest producer of ylang-ylang oil. This oil is used for producing perfumes, making the world smell better one person at a time! This country is famous for having the “Gate to Hell”. 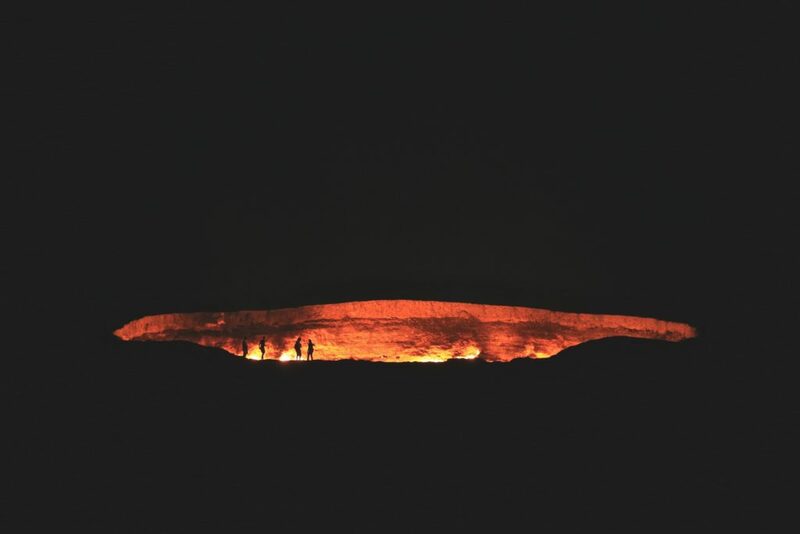 It’s not a literal gate to Hell, but it is a large crater filled with natural gas. The said gas was lit after a Soviet-era scientist had the brilliant idea of igniting the crater in the hope of snuffing out the leaking fumes. Even after almost five decades, it’s still burning. Besides the burning hole in the middle of the desert, the country’s capital, Ashgabat, holds the world record for the most buildings clad in marble. It’s a very impressive architectural feat, though no one actually works in the buildings. If you’re a US citizen, you don’t have to worry about getting a visa. Americans are exempted from visa requirement in the country for stays of up to 90 days. If you’re not a US citizen, you’ll have to go through a painstaking process, making this country one of the least visited in the world. Despite the country’s poor tourism infrastructure, Equatorial Guinea still has plenty to see and do, especially for nature lovers and adventurers. Did you know that it’s also the only African state with Spanish as an official language? What about the name “Bikini Atoll”? Not only is the famous swimwear item named after this group of islands, it’s also host to several US nuclear bomb testing sites. And yes, we mention the Bikini Atoll because it belongs to the Marshall Islands. 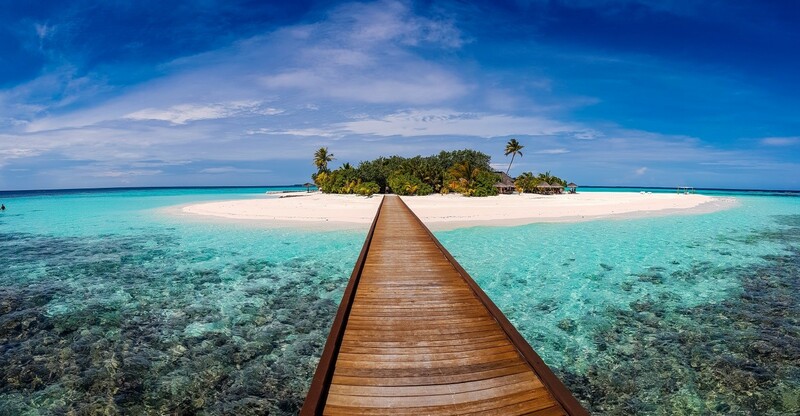 The Marshall Islands are a divers’ paradise. With over 250 types of coral and 1,000 different species of fish, the waters surrounding the islands are teeming with marine life. With several nuclear tests conducted here by the US from 1946-1958 (67 in total), it was once regarded as the “most contaminated place in the world” by the Atomic Energy Commission. But that was back in 1956. Don’t go diving expecting to see three-eyed fish or radioactive coral. With an area of 21 square kilometers, you can literally run around the whole country! With only a population of 10,000, what makes this country very secluded is the lack of modern transportation to the tiny nation. Only one Boeing 737 flight takes visitors to and from the island. There’s no nightlife here, and there are only two hotels in the country. The country is so small, it doesn’t even have a capital! Yaren, the biggest village in the area, can somewhat be considered a capital. 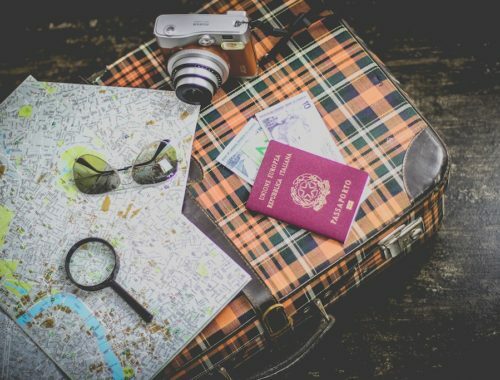 Going off the beaten path and traveling to any of these countries is a unique and thrilling experience, not to mention an awesome way to throw yourself out of your comfort zone and not travel like a tourist. Where will you be heading this 2018? When a big trip is coming up and you’ll be visiting a new, exotic destination, it’s completely normal to be a bit nervous. Fear of the unknown often stops many people from getting out of their comfort zone and checking out a new place. On many occasions, locals (especially those from very popular travel destinations) see an economic opportunity with unwitting tourists and will try to take advantage of their lack of knowledge about local prices, places, and practices. It’s common to find the same item at wildly different prices depending on where you go. While the worst that usually happens is that you’re out only a few dollars, you can lose even more if you fall victim to a particularly nasty scam. 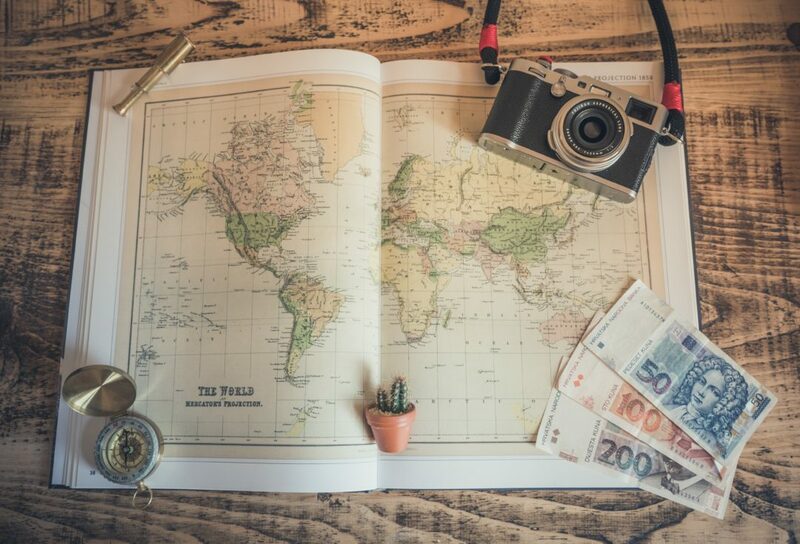 So, we’ve put together a few useful and universally applicable tips for those who want to keep pleasant memories from their travels and not constantly think back on the ungodly amount of money you had to part with. 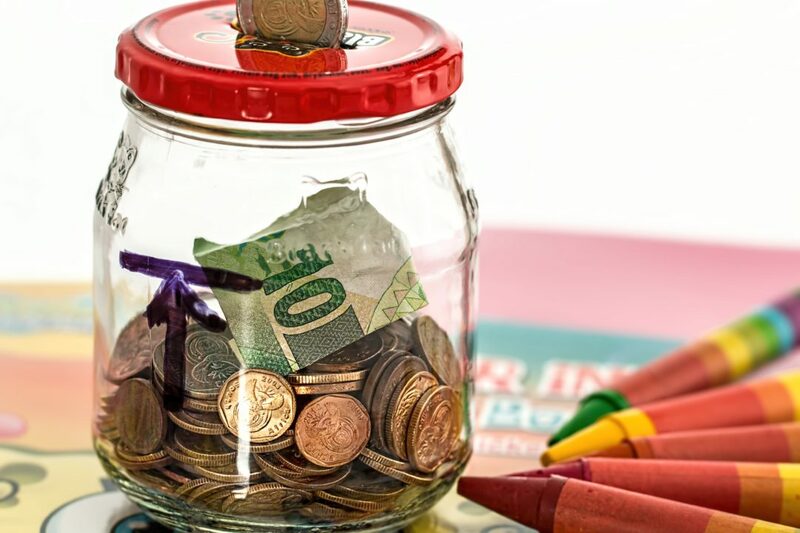 For more detailed information on saving money in general, check out our other articles, such as this one covering saving on food. 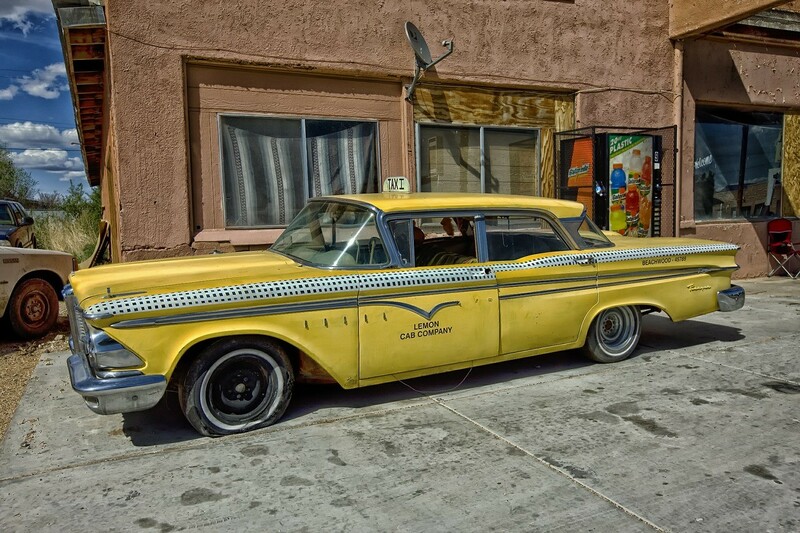 Taxis have a notorious reputation virtually everywhere and are particularly risky for travelers. There are always airport shuttles, and ridesharing services like BlaBlaCar, Grab, or Uber have entered the scene as economical alternatives, but if you still must take a taxi, DO NOT use the ones parked near the airport’s exit. People generally pay more for convenience; walk for a bit and you’re likely to find a cheaper ride. Some taxi/tuk-tuk/etc. drivers will try to make you get into the vehicle without telling you directly how much they are going to charge you. Not telling you a price upfront is a strategy used to overcharge you at your destination, making you feel obligated to pay any amount. This is a guilt-based technique that you can avoid by simply being very clear that you won’t get in the taxi unless a price has been set. When arranging transportation anywhere, communicate the address of your destination clearly and ensure that the driver understands where you want to go. Another helpful trick is to track the route on your phone’s GPS; if the driver sees you know the distance and direction you should be going, they’ll be less likely to “accidentally” miss your destination or take a longer detour to make you pay more. ALWAYS ASK. Is that bottled water you’re about to grab complimentary? Don’t just assume something is free or included with a reservation or package. Even locals dressed in costumes or traditional clothing might ask you to pay up after you take a picture with them; always ask beforehand to avoid any unpleasant surprises. Know the most common/popular scams in the country you’re in. This will help you know specifically what to keep an eye out for. In Europe, for example, women and children will employ a variety of common yet predictable tactics to swindle you such as dropping items in front of you, flirting, or other elaborate ruses to pickpocket you or make you pay for something. In Southeast Asia, scams involving transportation services like buses, taxis, and motorbike rentals are common. Avoid restaurants filled with tourists or very popular near tourist attractions. You’ll get better prices at local places, and more hole-in-the-wall restaurants will be cheaper and will let you experience authentic local food for a better price. If you’re at a bar or other establishment that serves alcohol, pay for drinks as you go. Don’t open a tab as you can easily be charged extra, especially if you’re under the influence and not paying attention to everything you’re ordering. An interesting thing that may help you get lower prices is to speak in the native language. Remember that it’s almost always better to travel like a local and not present yourself as just another tourist. 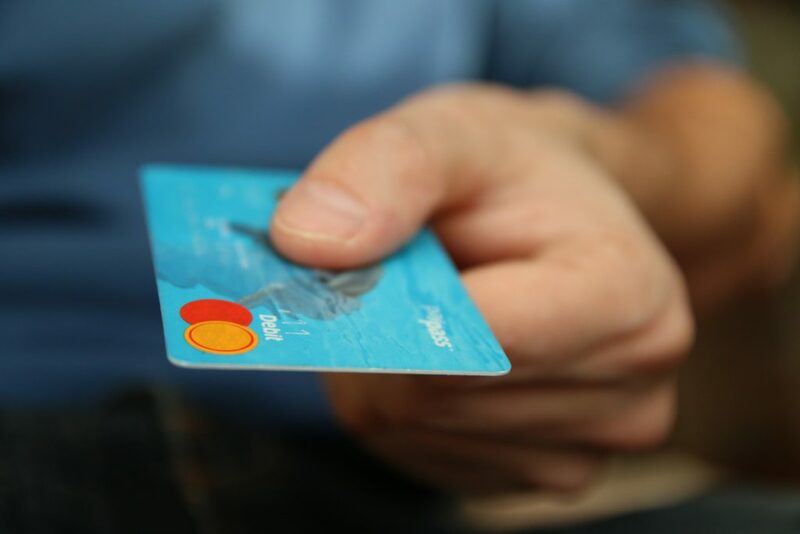 Ask around and get a few examples of prices for the same service; having reference prices for common items at your destination is useful tool for determining whether something is a good deal or not. If you catch someone trying to overcharge you, speak up as sometimes this will make them lower their prices. Please, if the price of an item is fair, don’t negotiate. 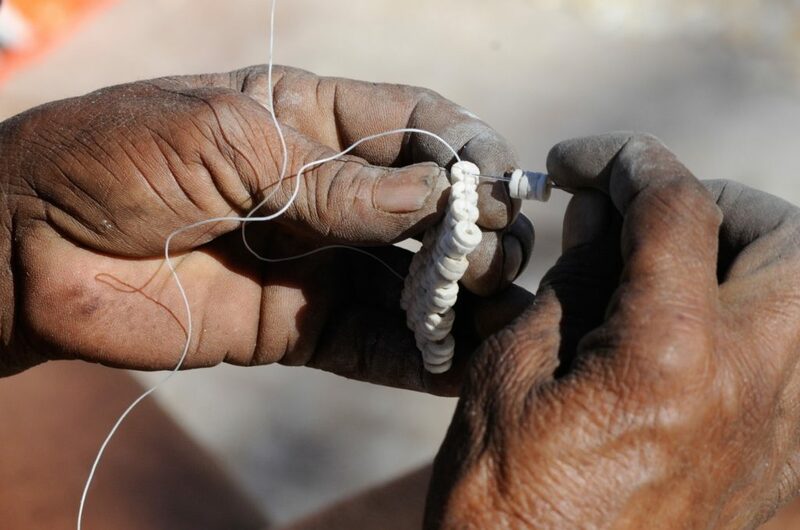 Vendors, especially those in third-world countries, often work very hard to make a living. A good rule of thumb others follow is to not haggle for items priced under a dollar. This will make you come off as cheap, and others may deny you service. Know the current local currency conversion rate. You can’t know whether you got ripped off if you don’t know at least the approximate price you paid in your home country’s currency. If you’re renting gear/equipment, take pictures of it as soon as you receive it. Check and count your change yourself before you walk away. Get some sort of written confirmation (like a receipt) for purchases. When buying souvenirs/specialty items, you need to have in mind what you are going to buy. Uncertain or wondering tourists are the prey of many souvenir stores. When negotiating, use this strategy: first, suggest to pay about 65% of the item’s price. This suggestion is meant to be extreme and usually is going to be denied, but if you negotiate from an extreme, then it’s likely that at some point, before going back to the original price, the owner will agree on an offer somewhere in the middle that’s still a good deal. Finally, if someone is trying to overcharge you, threatening to walk out can be a good negotiation strategy if you are willing to actually do it when things don’t go your way. There are shady individuals out there, but most of the time, you won’t be dealing with horrible people. Many places need tourists to keep functioning and that can translate into a very aggressive economy. Try to be understanding of (and not rude to) the locals. Sometimes you just need to get far away from your problems. 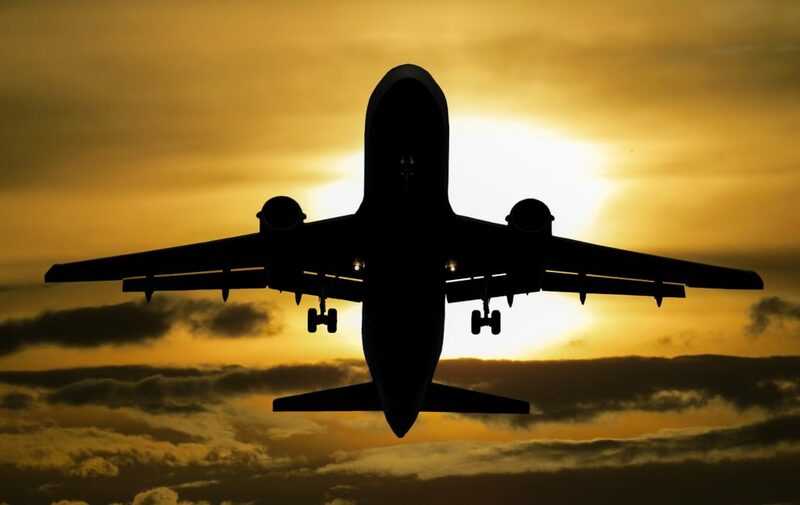 A plane ticket is a great way to do it, but for those of us short on time and money, getting behind the wheel for an adventure (well, at least for the weekend) can be just as wonderful. 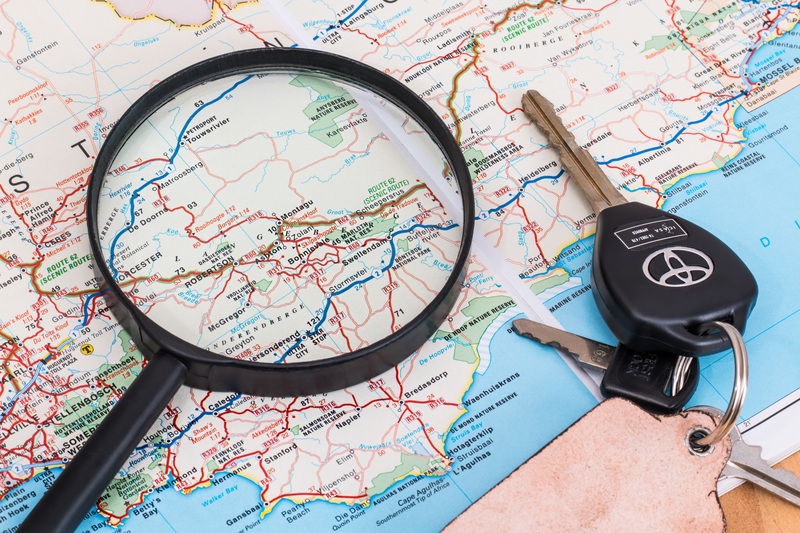 Whether it’s a short drive to the other side of your city or a long drive across multiple cities, it’s important to have a good game plan in place before your road trip so you’re not driving down the highway aimlessly. With the number of hotspots you could drive to, it’s tempting to get behind the wheel and just drive off – we’re not saying you can’t do that, but just make sure you have enough cash on you! Before the trip, double-check your funds to make sure you can get through your whole journey, or else you’ll be coming home to a bigger set of problems than before you left. 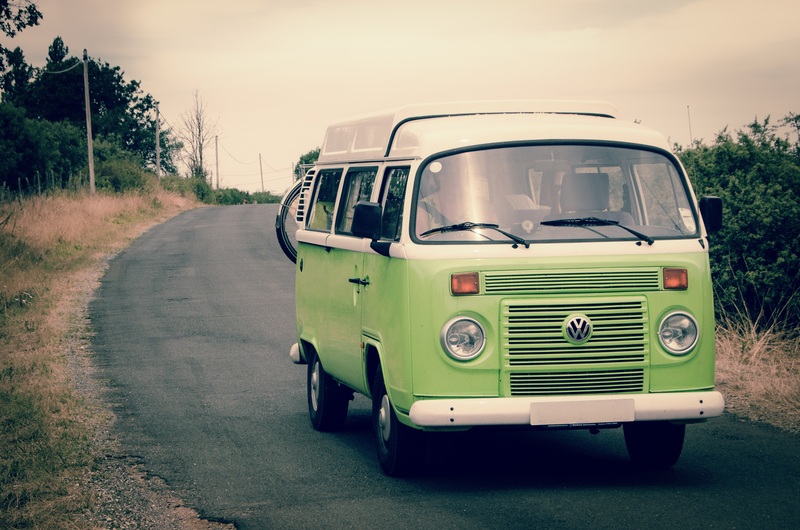 Take into account how many miles you plan to travel, how many people are in your group, food budget per person per day, and any fees for campsites and parks, and plug it all into a handy road trip cost calculator like this one. Got a restaurant you want to try? Write it down. Is there a museum or landmark you can’t miss? Make a note. Is there an upcoming festival you absolutely must go to? Add it to the list! On that note, also be open to whatever you might come across on your road trip – and we mean anything. Whether it’s a restaurant you come across or an amusement park you happen upon, sometimes the best decisions you make happen in the moment – don’t box yourself in. 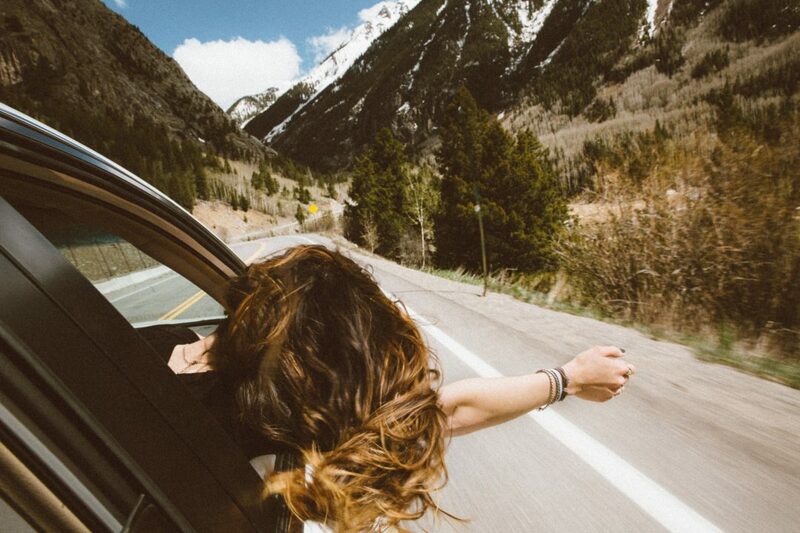 Being spontaneous might help you find your next hidden gem. If you’re going on a road trip, make sure that your car/van/whatever you’re driving can make it. There’s nothing worse than packing up all your items and setting off only to break down in the middle of nowhere because of a drained battery or mechanical mishap. If you’re a hands-on kind of person, feel free to inspect your vehicle yourself. If you’re not blessed with automotive savvy (like many of us), visit your local car service shop to get a thorough inspection of your car. It’s better to be safe than sorry when it comes to a long drive. Water is such a simple thing that it’s often overlooked or forgotten about completely on a road trip. We know so many people who’ve had to stop somewhere because they were thirsty – don’t be one of them! Make sure to stock up on at least a few liters of water from your local store at the start of the trip. It’ll save you the hassle of having to make detours and delay your itinerary – not to mention you’ll keep the negative effects of dehydration at bay. A few days on the road doesn’t mean that you need to bring your entire closet, so leave the unnecessary ‘necessaries’ at home. You probably won’t be needing two pairs of sneakers or a bunch of jewelry to trot your way across the cities. Instead, we recommend you bring the most functional yet stylish clothes that could still get you that perfect shot. You can travel the road without sore shoulders literally dragging you down. We can’t stress this enough; always bring emergency items – you never know what’s going to happen! We recommend you make a checklist of items that you think you’ll personally need if an emergency arises. Some of the items on our personal list include (1) a spare tire, (2) a flashlight, and (3) a first aid kit. 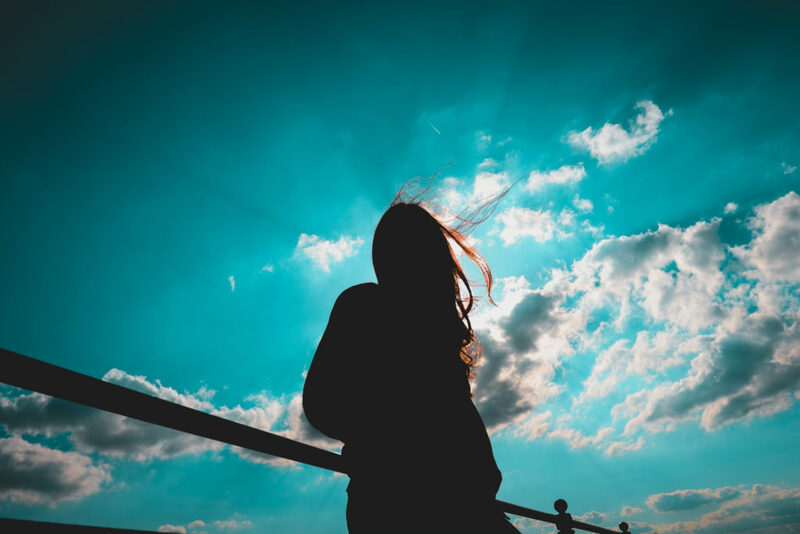 You can never be too prepared when it comes to emergencies, and you’ll be thanking yourself that you went through all the hassle if something does happen along the way (but let’s hope not)! The drive from one place to another can take so long that you’re guaranteed to get hungry during the trip… so stock up on your snacks! Whether it’s a family outing or a road trip with friends, everybody should be able to munch their hunger pangs away. “Hangry” is a real thing, so you wouldn’t want to fuel the fight you just know is waiting to happen when people get on their last reserves and emotions run high. Driving for hours and hours with nothing to do can get boring, so keep yourself entertained with some good tunes. Before you get behind the wheel, we recommend you make playlists with that road trip kind of vibe when picking your songs. 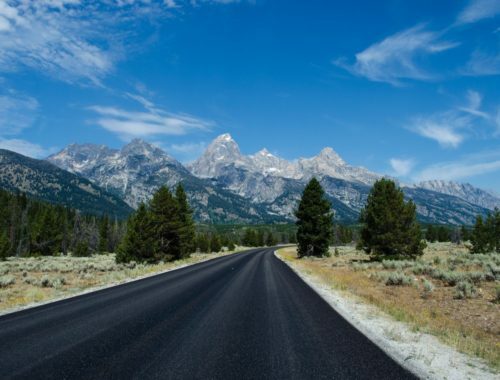 Some great song suggestions for a road-trip-themed playlist include Tracy Chapman’s “Fast Car”, Weezer’s “Island In The Sun”, and Bob Dylan’s “Like A Rolling Stone”. Nothing is more annoying than driving out of town with a headache, so always make sure to have some medicine on hand. Not only will you be more comfortable, it’ll also help your friends and family keep their cool if they feel under the weather. To keep everyone covered, ask each person about any possible health issues or conditions beforehand so that the whole group has access to the medicine they need to feel better. There’s nothing better to fully recharge than a road trip to somewhere new, but you need to make the necessary preparations beforehand. Let us know if you have any suggestions that you’d like to add to the list to make your time on the road even better. Don’t worry! Before you know it, you’ll be back to 100% and ready to battle the week in no time. Pura vida and have a great trip!